Tesla loves a good fight. CEO Elon Musk has battled car dealers, President Trump, and more than a few reporters. Now he has found a new opponent, in the National Transportation Safety Board. 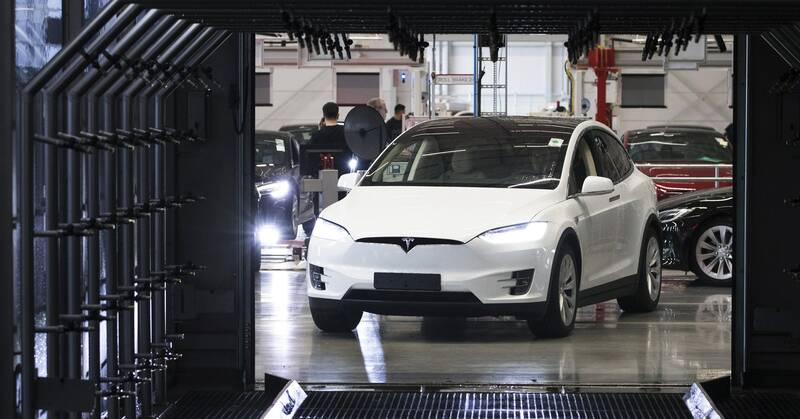 The agency is investigating the crash of a Model X that was running with Autopilot engaged when it slammed into a highway divider in Northern California last month, killing the driver. Today, the NTSB announced it kicked Tesla off the team looking into what happened, and how to stop it recurring. On the surface, the disagreement is over when and how to make public information about the crash. The NTSB, which investigates all major transportation accidents, is a cards-to-the-vest operation. It often shares facts as it finds them, but rarely draws conclusions about things like causality or remedies until it’s ready to release a thorough, detailed, and considered report. That usually takes at least a year, sometimes two. Tesla argues the safest thing to do is make whatever it knows public as soon as possible. A week after the March 23 crash, Tesla announced Walter Huang, the driver of the Model X had turned on Autopilot, putting the car’s computer in charge of staying between the lane lines and a safe distance from other vehicles. The driver’s supposed to keep their eyes on the road and hands on the wheel, to monitor the fallible system. Tesla said Huang’s hands were not detected on the wheel for the six seconds prior to the crash, and that he should have had about five seconds of unobstructed view of the concrete lane divider he slammed into, but the vehicle logs show no action was taken. Tesla, never one to let a good scrap go to waste, fired back this afternoon. It reiterated that it broke up with the NTSB, not the other way around. “It’s been clear in our conversations with the NTSB that they’re more concerned with press headlines that actually promoting safety,” it said in [a statement. “Among other things, they repeatedly released partial bits of incomplete information to the media in violation of their own rules, at the same time that they were trying to prevent us from telling all the facts.” Tesla also said it plans to complain to Congress. As far as this NTSB investigation goes, Tesla’s departure is unlikely to change much. The automaker says it will still provide whatever technical help the NTSB needs, to recover and interpret data from the vehicle’s sensors leading up to and during the crash. Even if it refuses, the NTSB can subpoena the info. But to properly understand Tesla’s seething anger at a government body widely seen as even-keeled and impartial, you need a quick dive into the past. In May 2016, a Tesla Model S running Autopilot crashed into a truck turning across its path, killing its driver, Josh Brown. NHTSA pinned the crash on driver error, saying the system wasn’t defective. A few months later, the NTSB issued its own report, saying Tesla bears some blame for Brown’s death, because its car didn’t do enough to ensure he watched the road. “The combined effects of human error and the lack of sufficient system controls resulted in a fatal collision that should not have happened,” NTSB chief Robert Sumwalt said at the time. It was the first substantive rebuke of one of Tesla’s hallmark features, a serious blow to an automaker that trades on innovation. After Brown’s death, Tesla updated its software, escalating the warnings the car issues to inattentive drivers. But the basic premise of the system remains: The car works the steering and speed, the human monitors and intervenes as needed. And there’s plenty of reason to think humans are just no good at that sort of thing. So it’s easy to imagine the NTSB will come to a similar conclusion once it’s done investigating Huang’s death, painting Tesla’s innovative system in a damning light. It’s also easy to guess that Musk and Tesla are trying to spin things in their favor before the feds tell that kind of tale the second time in two years. Along with Tesla, Cadillac, Nissan, Mercedes-Benz, Audi, and others already, or soon will offer this sort of semi-autonomous system, requiring the human behind the wheel remain attentive. Cadillac’s Super Cruise is especially sophisticated. It allows hands-free driving, using a camera to track the driver’s head and make sure he’s looking at the road. It stuck bright green and red LEDs in the top steering wheel to grab the driver’s attention when needed, and can vibrate the seat. That’s fair. Humans cause 40,000 deaths on US roads every year. But it’s also fair to say that Tesla’s Autopilot system isn’t perfect, and could be made even safer. For the official word on how to do that, we’ll have to wait for the NTSB to finish its work—even without Tesla’s help.